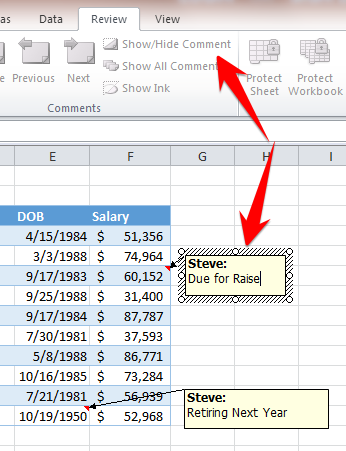 Excel allows you to display comments on the screen, but by default the comments will not print with your spreadsheets. 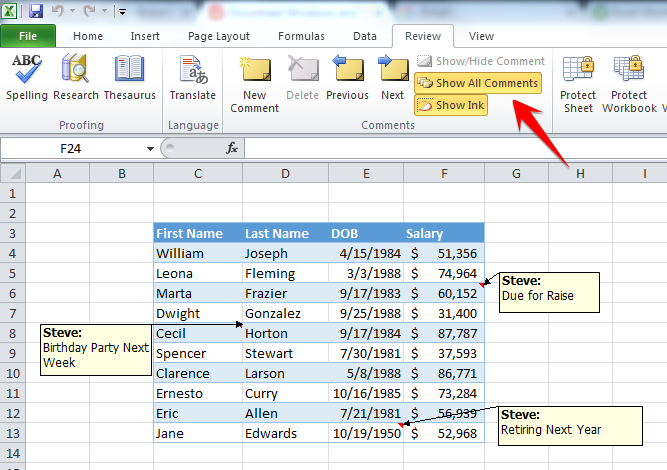 This tutorial will teach you several different methods to print comments in your spreadsheets. Navigate to the Review tab, in the Comments group, and click Show All Comments. Instead of You can use the ALT shortcut: ALT + R + A . 1. Navigate to Page Layout tab, in the Sheet Options group, click the More button (Shortcut ALT > P > SO). 2. The Page Setup window will open. 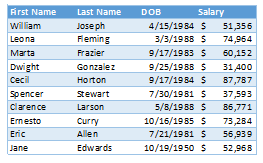 Within this window, click on the Sheet tab(if necessary). In the Print section, select the drop down button on the Comments option. None – Excel’s default setting. No comments will be printed. or As displayed on sheet. Click “Ok”. Your spreadsheet is ready to print. 4. 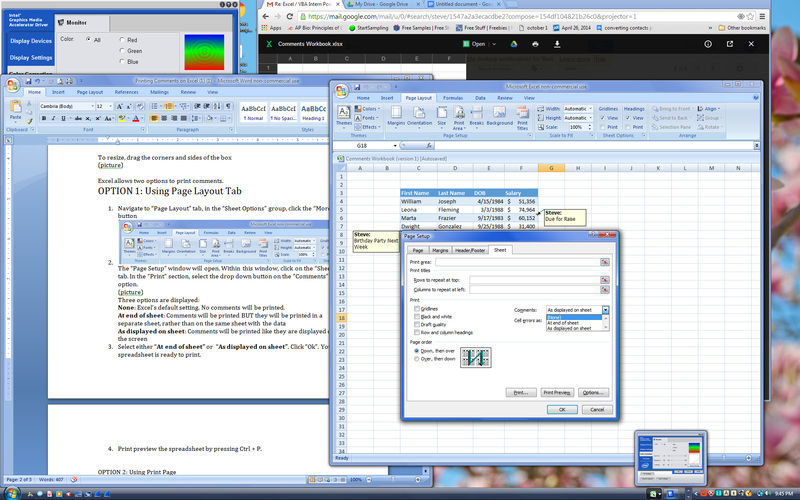 Print preview the spreadsheet by pressing Ctrl + P.
2. The “Page Setup window opens. In the same window, click on the Sheet tab. In the Print section, select the drop down button on the Comments option. Three options will be display. To learn more on these options, head over to Option 1 – Step 2. 3. You spreadsheet is ready to print. To print comments on multiple worksheets, use any of the methods above, except first you must select all the worksheet tabs that you wish to print. Do this by holding down CTRL or SHIFT as you select the appropriate worksheet tabs at the bottom of your workbook. You can also use VBA to print comments in Excel using the code below.